Paul obtained his Dentistry degree from Griffith University in Queensland, after having completed his Pharmacy degree. He moved to Perth for several years before finding his way back to his beautiful home town of Melbourne. 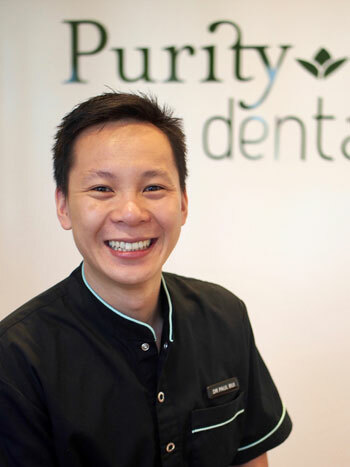 Combining his knowledge from both Pharmacy and Dentistry, Paul believes in caring for his patients with a personalised approach while providing them with the best possible dental experience. In the dental field, Paul has a strong interest towards restorative and cosmetic dentistry, oral surgery including wisdom teeth removal, and orthodontics. He completed Dr Steve Gallea’s Orthodontic Residency in Sydney in 2016, as well as numerous other orthodontic programs including Smilefast and Inman Aligner systems designed for adults. This year, Paul is now starting his implant surgical journey under the guidance of various mentors. Away from his continuous dental pursuits and further education, Paul winds down in the garage tinkering on his car and mountain bikes, or he can be found out and about catching up with mates at some good Melbourne eateries. During the cold season, he usually makes a trip to catch some snowboarding across the Victorian alps.